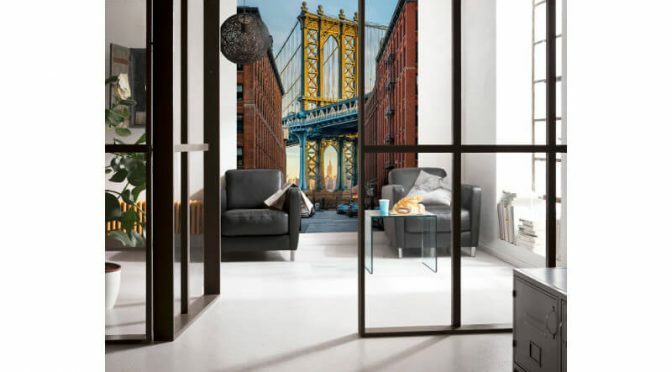 Komar Brooklyn Scene Wall Mural is designed to add character and a splash of colour to your home this season. Firstly, this wall mural is inspired by the Brooklyn Bridge. It offers an unusual vantage point for a great sense of style. In full colour and photograph quality, the wall mural is perfect for creating a feature wall. So it is sure to make a welcome addition to any home. FInally, the Komar Brooklyn Scene Wall Mural comes in a series of easy to hang panels, allowing a quick transformation of any room. Team with other New York inspired wall murals for a fashionable, travel inspired look.